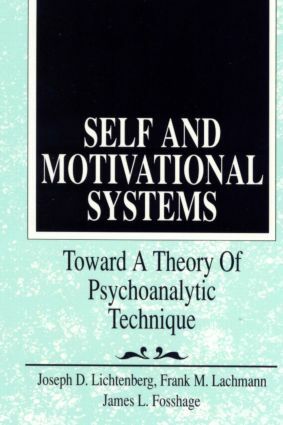 In this sequel to Lichtenberg's Psychoanalysis and Motivation (TAP, 1989), the authors show how their revised theory of motivation provides the foundation for a new approach to psychoanalytic technique. The approach in Self and Motivational Systemsemphasizes a finely honed sensitivity to moment-to-moment analytic exchanges and an appreciation of which motivational system is dominant during that exchange. Throughout, the authors stress the creative power of psychoanalysis as a joint effort shaped by the intersubjective context of a particular analysand communicating and interacting with a particular analyst. At the heart of the analytic relationship is the analysand's expectation of evoking a vitalizing selfobject experience from the analyst and the analyst's expectation, in turn, of evoking a selfobject experience of efficacy from his or her work with the analysand.